Live Law spoke to Alishan Naqvee, Founding Partner of LexCounsel Law Offices. Naqvee has consistently been nominated as a leading lawyer in the area of "Venture Capital and Private Equity". He has extensive practice in the Indian corporate and transactional laws over the last 12 years. During the last couple of years, Naqvee has particularly been active in the litigation area, heading LexCounsel’s litigation practice. Live Law: Structuring Private Equity (PE) funds in India requires special considerations from the legal perspective. Can you demystify some of the legal and regulatory concerns surrounding PE funds in India? Alishan Naqvee: PE funds have historically been unregulated in India. However, with the coming into force of the Securities and Exchange Board of India (Alternative Investment Funds) Regulations, 2012 (“Regulations”), all alternative investment funds, including private equity funds, are required to register under the Regulations. Amongst other things, the Regulations stipulate separate categories for registration of funds, minimum corpus of a scheme, minimum investor ticket size, maximum number of investors per scheme and the sponsor/manager commitment. PE funds, therefore, need to be structured in compliance with the Regulations. Structuring of PE Funds, needs to be done after a thorough analysis of the market, sectors and the economy. A tried and tested method of setting up a sound PE fund in India has been by establishing Joint Ventures (“JV”) in India, whereby foreign PE firms enter into JV arrangements with Indian entities. There are several advantages of the JV model, such as, the ability of PE Funds to sell their interest to the strategic partner provides an additional liquidity option that otherwise does not exist in a solo investment. The fund could also benefit from the industry expertise, cash reserves and management resources of the strategic partner. The path to liquidity can, however, get complicated if the partners cannot agree on the timing and nature of the liquidity event. An Initial Public Offering (“IPO”) is the preferred exit mechanism in such cases and a typical JV agreement would contain provisions that would permit either partner to initiate a public offering process. Another hurdle in relation to structuring PE funds, apart from the regulatory concerns has been in relation to the constant strife between investors and promoters. However, now promoters are being more selective regarding whom they would like to be associated with. A good fit with the investor has in some cases even superseded the valuation expectation. Live Law: In the recent past, the role of private equity has increased considerably in India. What are some of the major legal issues that can arise during a Private Equity (PE) deal? 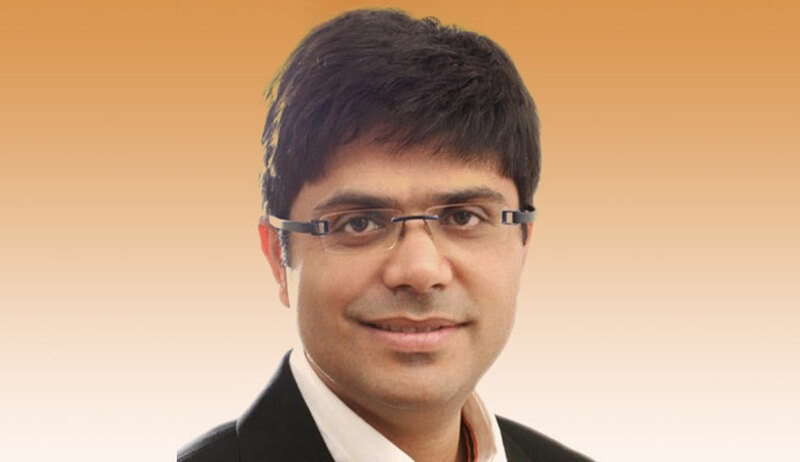 Alishan Naqvee: In the fourth quarter of 2012, PE firms invested (1.0 billion USD) across 82 deals in India, according to the latest PwC MoneyTree™ India report and approximately 120 PE/venture capital funds are currently seeking to raise approximately US $34 billion. Exit options for PE investors in a sluggish global economy tend to be limited. High returns yielding exit options, such as initial public offers also do not materialize many a times as private companies do not always have a successful listing if the domestic market sentiments are not upbeat. PE investors, therefore, are forced to consider other exit options, such as promoter buy-out or strategic sale or a secondary sale, which may not generate the expected returns for the PE investor. PE investments and deals are also subject to uncertainties in India’s tax regime. Structuring of the investment is also challenging given that instruments classified as ‘debt’ or ‘equity’ under India’s foreign exchange and investment laws are subject to different set of regulations. Instruments that are not compulsorily convertible into equity are treated as debt under India’s extant foreign exchange laws and are therefore subject to the external commercial borrowings guidelines. Fund raising methods are also somewhat limited for PE investors. Banks in India are prohibited from lending for purposes of investment in the shares of Indian companies. Mostly, PE investors have to utilize their own pool of funds except foreign PE investors can also pump in borrowings made abroad. Another critical issue is structuring rights of multiple PE investors in the same investee company. Prioritizing rights between such PE investors can often prove to be a nightmare for the promoters and sometimes a deal breaker. The documentation underlying the PE deal needs to be carefully structured to capture the order of priority of rights of different PE investors. Live Law: India is considered "one of the most challenging markets" globally for private equity investors. With a dip in the PE deals over the last few years, where is the Indian PE market headed? Alishan Naqvee: Rising inflationary pressures and friction between India’s economic expansion agenda and political pressures have the potential to suppress adjusted earnings in India. This could derail PE deal-making in sectors where the regulatory directions are unclear like infrastructure and microfinance. This is also a concern in regulatory-intensive sectors where there is a greater need of approvals involving procedural time-lags. If left unaddressed, investors’ worries about these barriers could slow fundraising in the long run as investors could seek better opportunities in other markets. Investments hit an all time low in 2009 due to global uncertainties which directly affected the Indian economy. However, in spite of the myriad concerns, investors’ appetite for exposure to India’s PE market still remains strong owing to the revival of the stock markets and relative certainty in government policy and regulations over the last few months. As of now investors are being cautiously optimistic and they have every right to be. Along with every crisis comes opportunity. Volatile markets present the PE industry with several unique, once in a lifetime opportunities. It is, therefore, up to the investors to apply reasonable due diligence to understand the potential markets and attain a broader knowledge that will enable them to implement a long term strategic plan instead of looking only at the short term benefits. It is also up to the Indian policy makers to give the right message to investors for enhancing the fund flow into our economy. Improvement in the area of corporate governance will also help the PE market bounce back. Live Law: It has been reported that while 2012 delivered a mixed bag for private equity houses and law firms in Asia, the prospects for 2013 look brighter. What are your views? Alishan Naqvee: I personally welcome every good news with open arms, even if it appears a bit speculative. Trying to follow “The Secret”, you know! As regards India, I feel, whether our GDP grows at 5%, 6% or 8%, it does not make a great difference in the investment decisions, for various reasons. Firstly, we are at least above 5%, when many countries are struggling to even keep it in the positive. Second, it’s just a number, while an investment decision is based on a specific opportunity of investing in a promising business prospect driven by individuals having the potential. More important, perhaps, is the question whether the investors feel safe investing in India? Sentiments within India change at a very fast pace, both ways. Sentiments outside of India, towards India, are however a different story. They attain negativity at a very fast pace, and it takes years to bring the positivity back. Events of the last couple of years, have put most foreigners (and this includes foreign investors of all categories) in doubt about certainty on our tax front as well as about safety of individuals on our streets and in our houses. This would have serious and long term repercussions on the entire economic climate. These negative sentiments can overshadow the otherwise logical investment decision of any foreign investor. Live Law: As someone who has been consistently nominated as a "Leading Lawyer" in the area of private equity and venture capital, can you give us an insight into the highs and lows of this practice area? Alishan Naqvee: The investments by private equity and venture capital funds are sophisticated and well documented. While the negotiations test your experience, the documentation tests your team’s endurance. Closings are high octane, and somehow always conclude (whenever they do!) not before wee hours. So the area is both exciting and challenging. The economic or market uncertainty however hits this sector almost immediately, so it is not “evergreen”, if I may say so, like litigation.